Mitsubishi's ASX is a small SUV in competition with cars like the Mazda CX-3 and Hyundai Kona. I always have a bit of a strange time in small SUVs, I get a bit nervous. Will it be big enough for my family of four? Will I be able to fit everything in the boot? (I don't know what I think I will be carting, but you can never predict, right?). But the truth is they're actually super practical. They're just the right size to fit into parks and still give a good height advantage, which is a definite bonus if you're driving kids around. I was in the Exceed, which is the top of the range, and I test drove it over a week with my family. From the outside it looks good. It's simple, sleek and unadorned with bells and whistles. They haven't gone for anything brash, this car keep things understated so is an all-round crowd-pleaser, if not a little bland. But not everyone wants a car that shouts while driving along the road, right? Not everyone wants a car that shouts while driving along the road, right? Inside is a bit harder to feel good about. Even in this top-of-the-range Exceed, the styling feels quite cheap and plasticky, with a hard dash and doors. But the actual design is good, with a clear layout, all buttons and knobs are self explanatory and you're not fumbling around trying to find things. The Exceed model also has a panoramic sunroof which is a bonus in a car in this category, you don't normally find them on small SUVs. 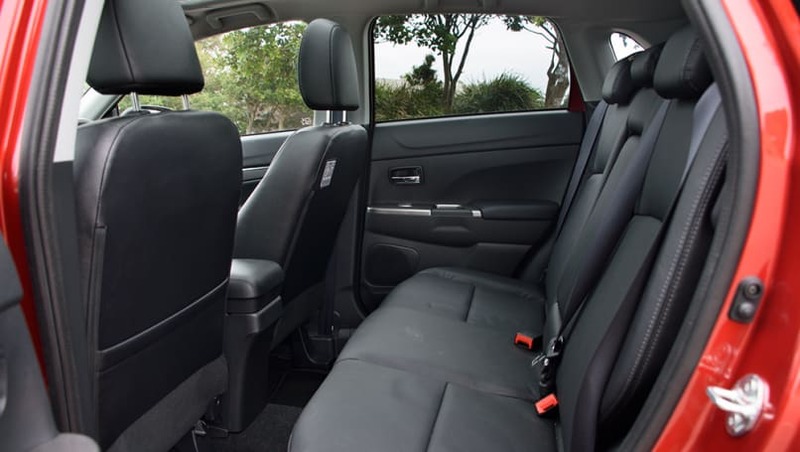 There are also leather seats in here but it's not the best leather and I'd almost prefer fabric, though leather will wear better if you have kids. 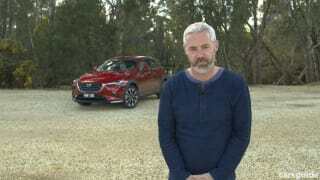 The ASX now comes in 2WD drive only, there is no AWD option. It gets around city streets perfectly fine but is nothing to write home about. 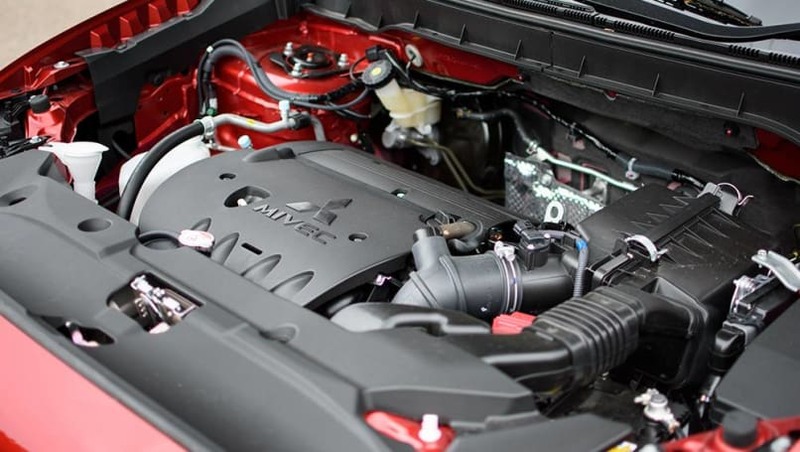 There's a 2.0-litre engine which is enough to get you up hills and along highways at a comfortable speed. The steering is easy to turn, no tug-of-war here, and it handles quite nicely, however you can feel the bumps as you bounce along the roads. This car is quite high off the road, so even though you're in a small SUV you still feel like you're in a bigger car. And it's easy to park, given the size which I always appreciate when I happen to be in a smaller car. It has a reverse parking camera so you can see where you're going. How did we ever live without them? There's a 2.0-litre engine which is enough to get you up hills and along highways at a comfortable speed. As a family of four, we fit perfectly fine, given my children are aged five and seven. If they were teenagers we'd still fit but things would be squishier. The front was good, I'm 161cm and thought there was enough space up front. My taller husband also fit in quite well, he had enough leg space and head space, and the kids had enough room for their legs behind us. There's not really enough room in the centre for a third child seat. You can always try to fit things in, but things will get frustrating very quickly if you had to do those seat belts up everyday. The boot is quite a good size for this category - with 393L boot, you're actually getting up near the top of the category. 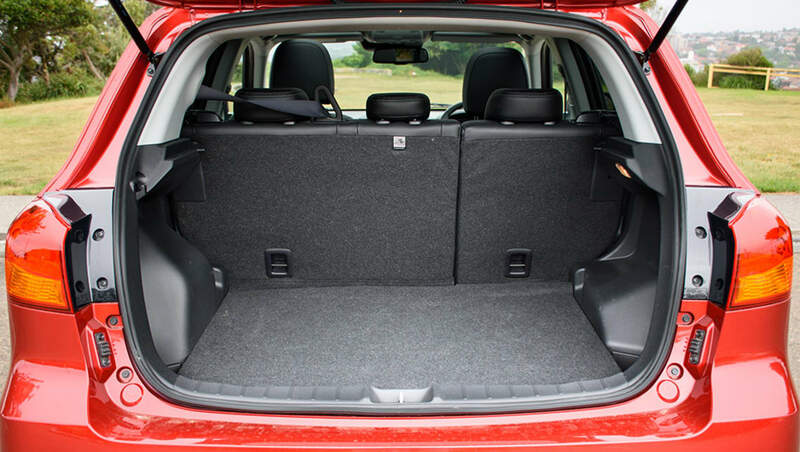 It beats a Mazda CX-3 and Hyundai Kona's boot size, but you'll find the Honda H-RV and Nissan Qashqai both have bigger boots, as does the Ford EcoSport. Things are where they should be in the ASX. There are two cupholders up front, and two in the back. You'll get a centre storage bin and storage in the doors. The front seats in the Exceed model are heated, which is pretty good value when you think about the total cost of this car. There's not really enough room in the centre for a third child seat. There are also air vents in the back which is rare in the small SUV category. One sticking point was the seat belt clasp in the back row was positioned way too far down. This probably changes from vehicle to vehicle but it made doing the seat belt up for the kids quite difficult every day. Even in this top-of-the-range Exceed, the styling feels quite cheap and plasticky, with a hard dash and doors. 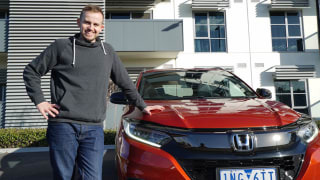 The ASX Exceed comes with all the new, fancy safety equipment like auto emergency braking, rear cross traffic alert and lane departure warning. It's great value for a car in this price bracket. Then there are the standard airbags for driver and front passenger, plus side curtain airbags that extend to the back row. You'll also get two ISOFIX points and three top tether points for kids car seats. It has a maximum five-star ANCAP rating. 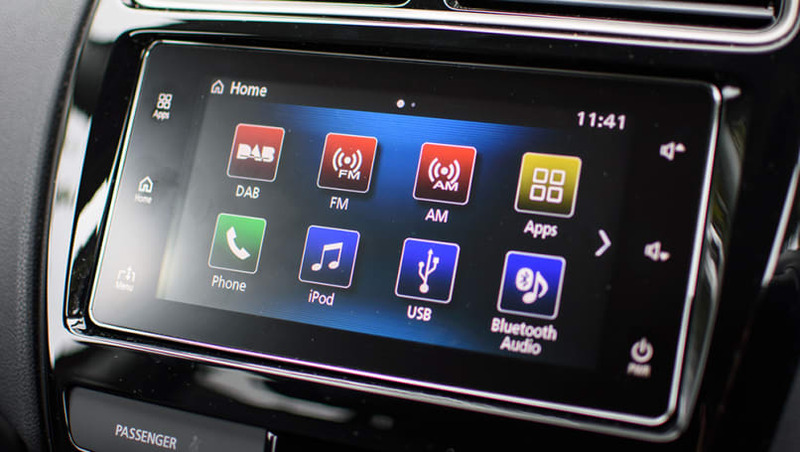 The ASX comes standard with Apple CarPlay and Android Auto. Just plug your phone into one of the USB points and the phone's main apps like maps and Spotify will appear on the 7.0 inch touchscreen, making it instantly easy to use. You can also make calls and send texts using voice control. Just plug your phone into one of the USB points and the phone's main apps like maps and Spotify will appear on the 7.0 inch touchscreen, making it instantly easy to use. 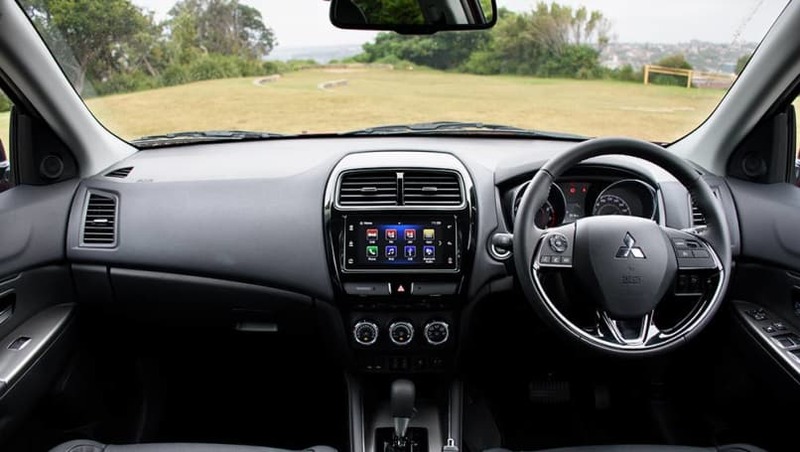 The Mitsubishi ASX Exceed comes in at $30,990. Fuel consumption is rather average for a small SUV at 7.6L/100km. It comes with a five year/100,000km warranty and there is a three year capped price servicing program. 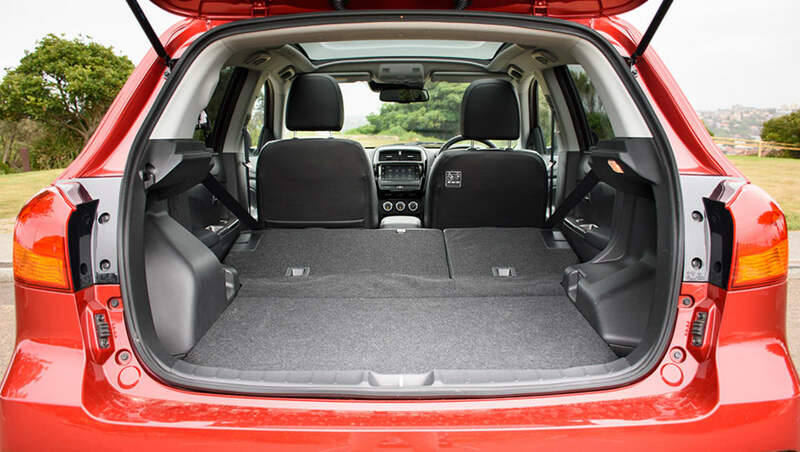 The Mitsubishi ASX Exceed is a good family car. There's nothing really to complain about, but there's nothing to sing about either. All works fine, it fits everyone, has enough boot space and has all the latest in safety and technology. What more could you ask for? Just a little bit of pizzazz, or something slightly more stylish, definitely. I gave it a family rating of seven out of 10, because I think even cheaper cars can still feel good, it's all in the small details. My children gave it a seven, too. They like colourful cars. If you are looking at a Honda HR-V, there's a good chance you aren't looking at a Mazda CX-3. 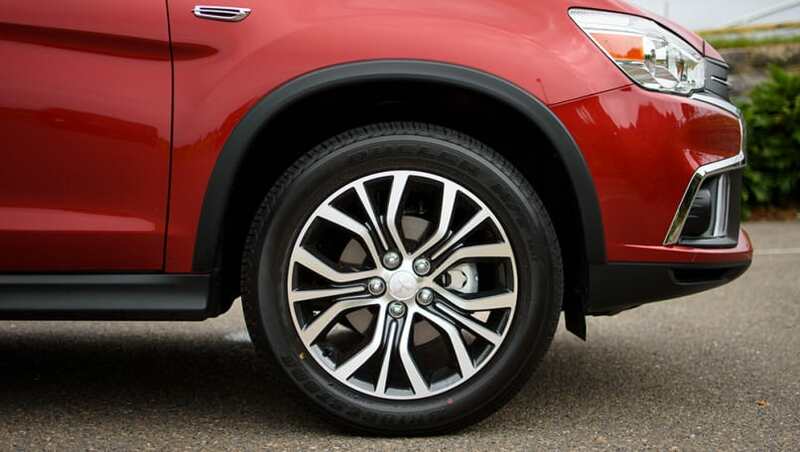 You're a different type of small SUV shopper, one that values practicality more than exterior styling. Mazda's new CX-3 isn't radically different in the looks department, but the designers would've been mad to change much as it's already a head turner. Has the little crossover that could gotten better?